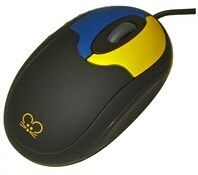 The Tiny Mouse in Black is about half the size of a standard computer mouse and just right for a child's small hands. 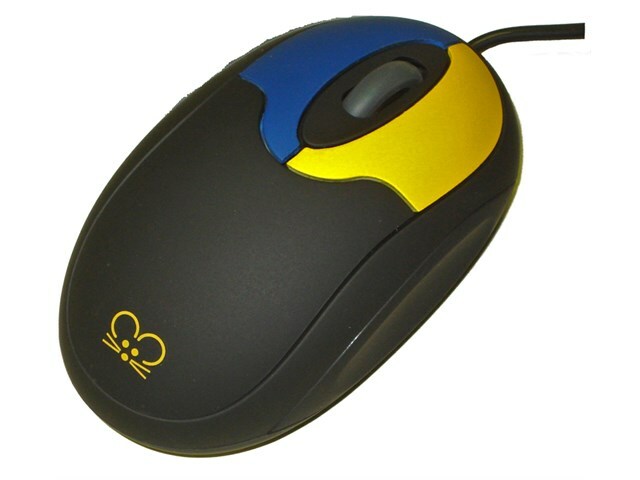 A scroll wheel and coloured right (yellow) and left (blue) buttons help kids learn to click and move the cursor with greater comfort and control. And with optical tracking, there is no trackball to become dirty or lost, or to malfunction. USB connection.